Last week I mentioned a friend of mine who was smack in the middle of the Polar Vortex. She talked about how everyone in the area was helping each other out and what a wonderful feeling it was to know everyone was going through the same thing. While talking about the cold she mentioned that she had been concerned her furnace would not be able to handle the cold as it was kicking on every few minutes to keep the house marginally warm. She laughed when she told me that while going down to the basement for dog food she stopped and thanked the furnace for all its hard work, she said “I love you and you’re doing a great job” to the furnace. She even hugged it. She did these seemingly odd things not out of irony or even satire, but because she was truly grateful for this piece of machinery that was keeping her family safe and warm. When I asked her if she thought her actions and words had any impact on keeping the furnace running she sort of laughed it off – of course not. It’s an inanimate object. It couldn’t hear her, it has no consciousness, right? Turns out, that might not be the case. Her kind words of love and encouragement to the furnace might have actually helped keep the machine operating. Of course I don’t know how old her furnace was, or what kind of shape it was in. It might have been brand new and running optimally – though she had plenty of stories of other’s failing, clearly she felt compelled to encourage the machine to just keep going. The furnace could be coincidence, but there is evidence to suggest that sending love and energy to inanimate objects can have profound effect in the world. Maybe you’ve heard about the Tea Experiment? Yung-Jong Shiah, PhD and Dean Radin, PhD studied the effects of good intentions on tea. They gave tea that had been treated with “good intentions” by three Buddhist monks to a sample of adults. The study was a double blind study so they didn’t know if they were getting treated tea or untreated tea. 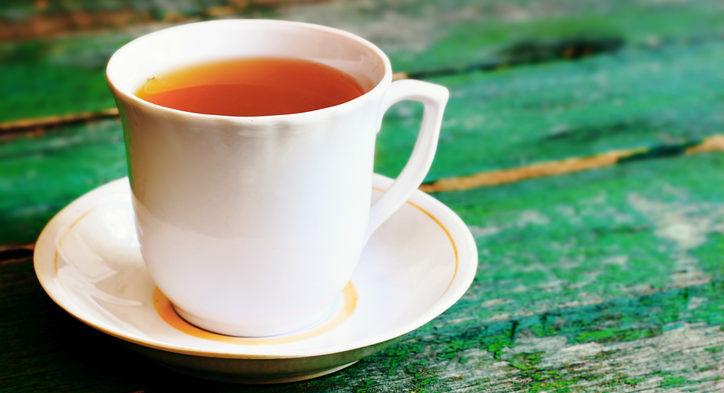 Those who drank the treated tea reported having a better mood while those who didn’t reported lower moods. You can read the paper here. In another experiment, Cleve Backster showed that plants could read his intention when he planned to cause it harm. He hooked a plant up to a polygraph machine and nothing happened. The needle didn’t move. Backster decided to try burning a leaf on the plant, as he got up to get some matches the polygraph sprang to life – the plant was reacting in fear to his intention to harm it by burning a leaf. Backster was able to replicate this experiment many times with different plants and bacteria. Our thoughts have power well beyond our own person. Raising our vibrations and sending out positive energy is more important now than ever before. Be grateful, thank the people and things that help make your life better, you’ll be better for it, and so will they.